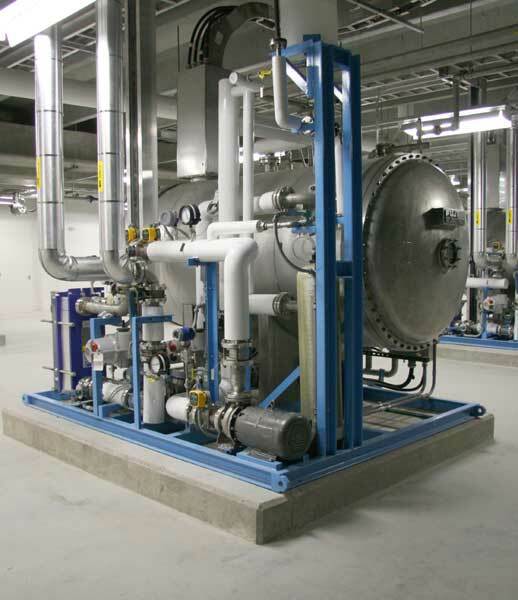 The City of Winnipeg water treatment plant is a state-of-the-art, modern facility designed for performance, safety, and environmental sustainability. We started building the water treatment plant in early 2005 and finished in late 2009. The cost to build was about $300 million. A virtual tour of our drinking water treatment plant is available. Began sending treated water to the city on the evening of December 9, 2009. Is about the same size as BellMTS Place. Has a highly automated system that monitors and controls a wide variety of instruments, mechanical equipment and electrical equipment, including 40 processors, 140 pumps, 2300 valves, and 1400 instruments. Has additional staff to handle chemical deliveries, monitor water quality, and perform regular maintenance. Can treat 400 million litres of water per day. Will be able to treat the water during a prolonged power outage. More information can be found on the water treatment program background information page. This step increases the size of the organic matter particles, so they can be removed more easily in the next step. a coagulant, ferric sulphate, so that particles in the water (e.g., natural organic matter, including algae and dissolved organics) will be attracted to each other. 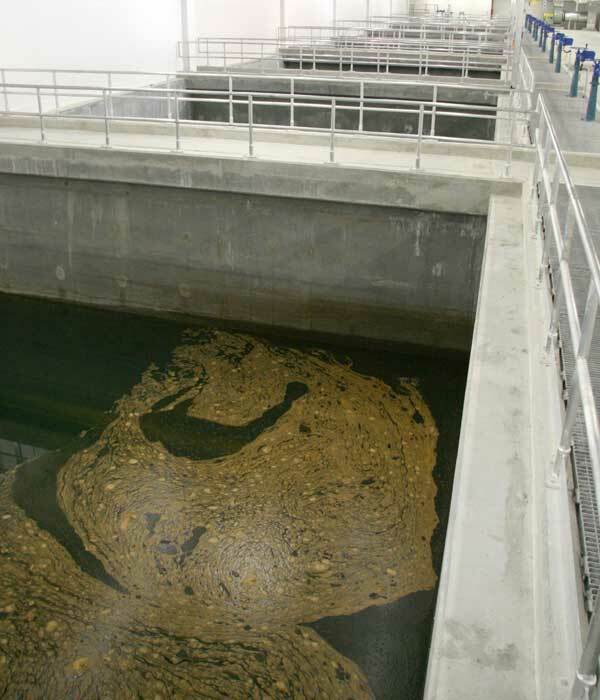 The water enters the flocculation basins where large mixing devices stir the water, causing the particles to collide and stick together, creating clumps of particles. This step removes the clumps of organic matter from the water. 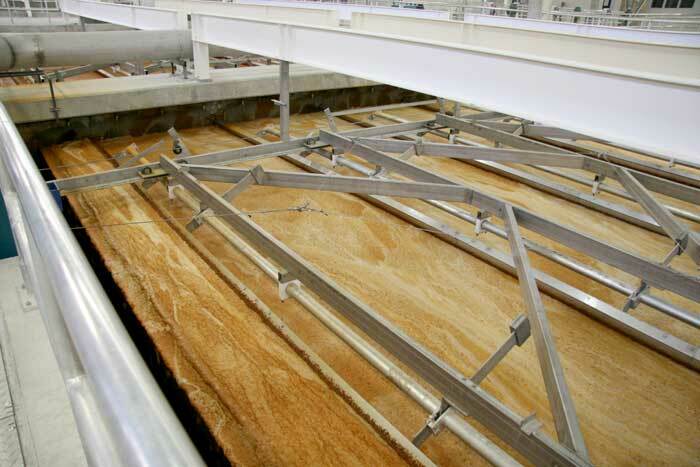 The water flows from the flocculation basins into dissolved air flotation tanks. An air saturator takes water and supersaturates it with compressed air, making it look frothy. A stream of super saturated water is injected into the tanks. Tiny air bubbles float the clumps of organic matter to the top of the tank. 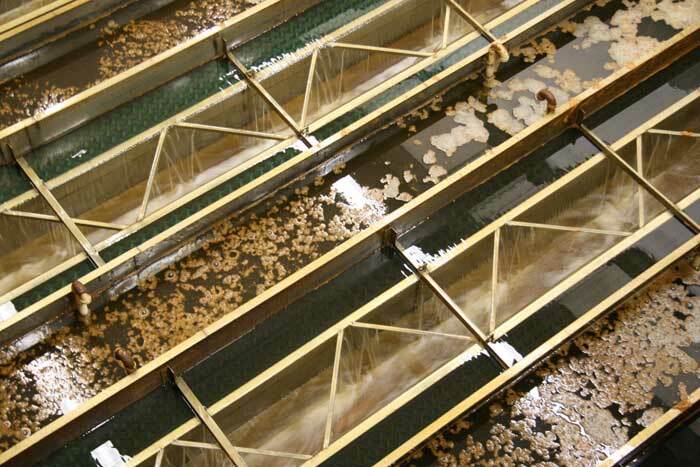 A series of skimmers remove the floating clumps from the surface of the water. The clumps are pumped to an onsite processing area. Ozonation helps disinfect the water. The water flows from the dissolved air flotation tanks to the ozone chambers. Liquid oxygen is pumped into an ozone generator to make ozone. At the end of the process, sodium bisulphite is added to the water to remove any leftover ozone. The water flows from the ozone chambers to the filtration gallery where it passes through biologically activated carbon filters. A small amount of a chemical filter aid is added to improve filter performance. The filters remove remaining particles from the water, including parasites. Good "bugs" growing on the filters also remove natural dissolved organic matter. This reduces disinfection by-products when chlorine is added. The filters are cleaned by pumping air and water backwards through the filters. The backwashed water is pumped to the onsite processing area. Water flows from the filtration gallery through to the chlorine chamber. Chlorine is added to meet regulations and to kill bacteria and viruses. It is one of the most efficient disinfectants of water known to science. Sodium hydroxide is added to raise the pH back to about the original level so that the water is suitable for drinking. Water flows from the chlorine chamber into an underground reservoir (clearwell). 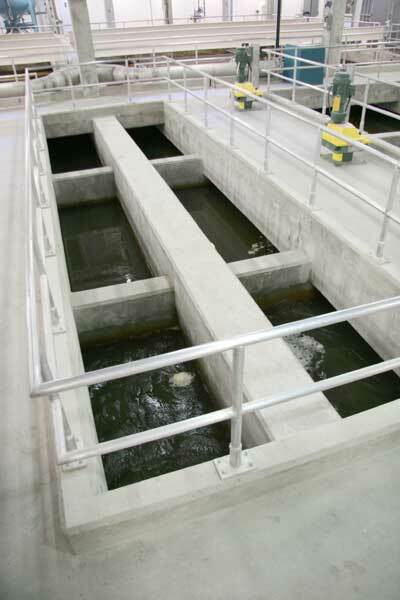 After the treatment plant processes, the water is pumped from the treatment plant's clearwell through stainless steel chambers that contain ultraviolet (UV) lamps, similar to fluorescent bulbs. With only seconds of exposure, the UV light rays penetrate any remaining waterborne micro-organisms such as Crytosporidium and Giardia, destroying their ability to reproduce. They can no longer cause infection and illness and are now harmless. Our water then goes through final treatment. Backwash water from the filters settles. The clean water is returned to the beginning of the plant for use. The settled-out solids and the clumps of particles from the dissolved air flotation process are pumped to open outdoor settling ponds at the Deacon site. The pond contents go through natural freeze-thaw cycles, which separate the liquid and solids. The liquid is pumped to the sewer system for treatment. The solids are taken to the landfill for disposal. is clearer and smells and tastes better all year. The chart below outlines the changes in water quality as a result of water treatment. Turbidity (clearness) 0.58 nephelometric turbidity units 0.35 nephelometric turbidity units Water treatment improved the turbidity level of the water coming from the water treatment plant. Total dissolved solids 102 parts per million 176 parts per million There was an increase due to chemical addition. pH 7.34 units 7.51 units There was a slight increase in pH. Alkalinity (measured as calcium carbonate) 65 parts per million 67 parts per million There was no significant change. Iron 0.04 parts per million 0.05 parts per million There was no significant change. Chlorine (free residual) 0.54 parts per million 0.69 parts per million There was no significant change. Sulphate 3.1 parts per million 49.4 parts per million There was an increase due to chemical addition. Sodium 2.2 parts per million 32.0 parts per million There was an increase due to chemical addition. Chloride 7.3 parts per million 21.4 parts per million There was an increase due to chemical addition. Fluoride 0.84 parts per million 0.70 parts per million Effective March 2011, the target was lowered from 0.85 parts per million to 0.70 parts per million. 1.94 parts per million There was no change to the lead control program (target of 2.0 parts per million). Odour 73 threshold odour number units 22 threshold odour number units Water treatment improved the odour level of the water coming from the water treatment plant. Colour <5 true colour units 1.3 true colour units There was no significant change. Data reported was collected from various locations throughout the distribution system. If you have any questions about water quality, contact us for more information. Due to security and safety concerns, tours of this facility are not available.